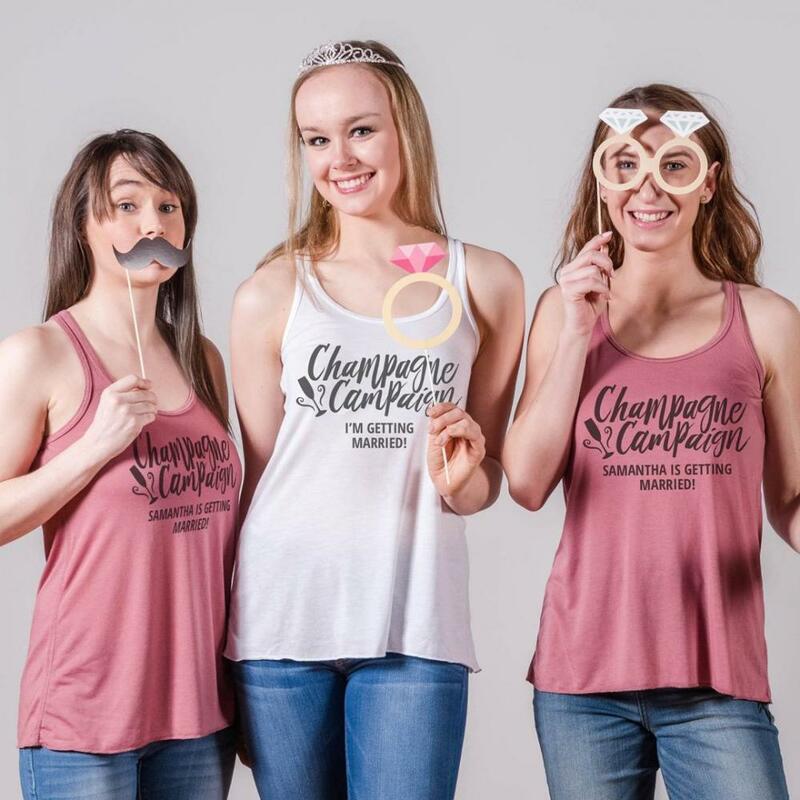 Every bride needs her champagne campaign by her side on her big day. 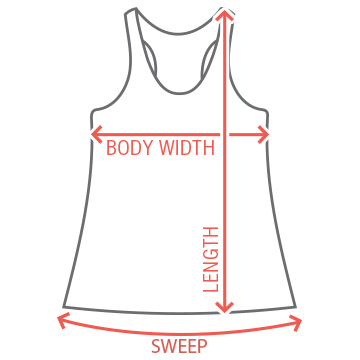 Snag your crew this super cute and flowy tank top to wear at your bachelorette bash! Make sure you scope out the matching one for the bride herself! 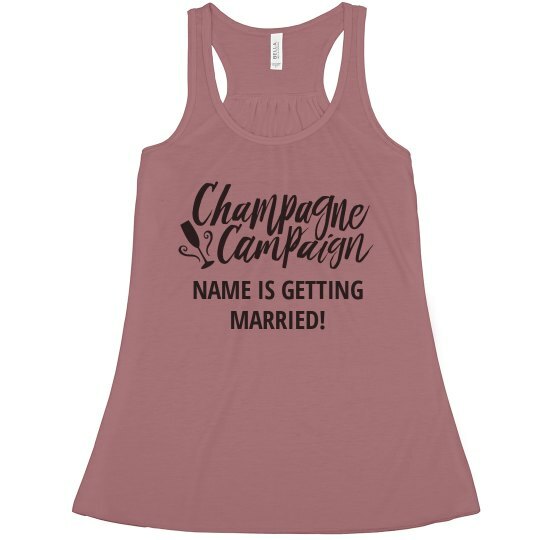 Custom Text: NAME IS GETTING | MARRIED!